When I started FAN FILM FACTOR on January 10, 2016, it was suggested that I try to write at least one or two new blogs per week so I’d stay relevant and keep readers coming back. Instead, I’ve written and published, on average, between four and five blogs per week for over two years. Some were short—just a few hundred words—while other blogs went 1,000 or 2,000 words (occasionally even longer). I calculated recently that I’ve written way more than HALF A MILLION WORDS about fan films…sheesh!!! I wondered how I might mark this 500th blog milestone, and then I had an idea. Have you ever wondered how I manage to keep all of these blogs coming week after week, month after month, year after year? If you haven’t, then feel free to stop reading now. The first rule I follow is to always have at least something waiting to post. At worst, I can just throw up a humorous video into FUNNY STUFF (I have a bunch of parody videos bookmarked if I need them). Those shorts only require a brief sentence or two to to introduce. First of all, thank the stars for BARBARA READER and her team at STAR TREK REVIEWED. They cover every (I mean EVERY!) Trek fan film of any size, shape, and color as soon as it gets released. I have no idea how they find them all!!! But thank goodness they do, ’cause I get a lot of my announcements from them. Of course, I also scour the Facebook groups and fan series websites for interesting updates and posts. But sometimes the news comes to me! People contact me about new fan film releases, start-up projects, upcoming crowd-funding campaigns, etc. Sometime folks just send me a link and say, “Have you seen this yet?” In this way, getting fan film news takes a village…and fortunately, I have one. And finally, I do a bit of “investigative journalism” (a.k.a. just being nosy). I try to keep abreast of the latest goings on with things like Starbase Studios, OWC Studios (Axanar), and now Stage 9 Studios (STC‘s old sets). I know the annual Treklanta fan film awards are coming up in a few months, so I’ll keep an eye out for nominees, finalists, and winners. And I’ve got friends in the fan film community…and every so often, I’ll tap them on the virtual shoulder for news, too. Right now, I’ve got three of these “in the can” blogs standing by. You’ll likely see two of them this week. A third is a fun blog that I’ve been working on called “Fan Films GREAT and SMALL…” It spotlights a number of the “little guys” who manage to create Trek fan films with VERY limited resources. I’ve actually wanted to complete this blog for a couple of months now, but it’s been sitting in the “yeah, I’m still workin’ on it!” pile for so long that I’ve actually added four additional “little guy” fan films to the blog in the time since I first made a list! Then there’s blogs I haven’t written yet, but they’re definitely up next. For example, last Friday I had a fantastic phone interview with a teacher who created an adorable Trek fan film at Starbase Studios with his fourth and fifth graders. That blog will be published just before Easter (for reasons you’ll understand when you see the fan film). I’ve also just had a great phone interview with the creator of the independent sci-fi film ATROPA. 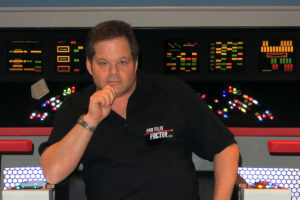 While not a Trek fan film, the VFX were done by TOBIAS RICHTER, who worked on Star Trek: New Voyages, Renegades, and Axanar. In addition, I’ve sent a series of questions to a Trek fan film producer in Tennessee who is about to launch a new Indiegogo campaign next month. He’s supposed to get written answers to me shortly (and I need to nag him). And finally, I’ve got to write up some questions for a dad in the U.K. who made a fun little Trek fan film with his two sons. All of those will soon be blog interviews—audio and text—over the next few weeks. I’ve written some really great multi-part features on the histories of such fan series as Star Trek Continues, Starship Farragut, Starship Exeter, Hidden Frontier, and many others. But those took a loooooong time to put together. Right now, I’m working with NICK COOK on a history of Star Trek: Intrepid (out of Scotland). Nick is providing me with some wonderful background information. But I’m embarrassed to say that this particular blog series is taking me way longer that I expected…mainly because I just started a new part-time job and the fan film world has been so darn busy lately! 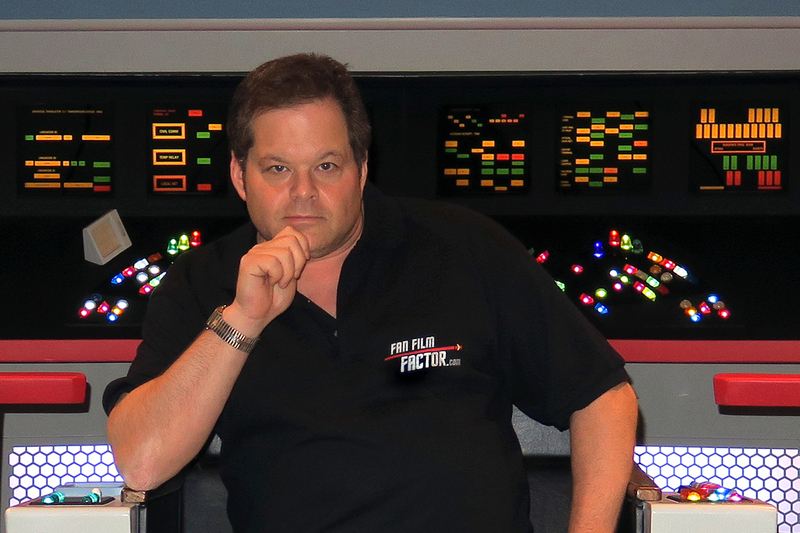 Also in development at the moment is an audio interview I conducted more than a year ago with CRAIG SHEELER of Star Trek: Secret Voyage. It was a great interview, but it ran 2 hours and 45 minutes! It turned out to be way too long to transcribe into a written interview, so I’m trying to edit it down to a one-hour audio interview. That’s also been a back-burner project that I feel awful about not having finished yet. And what do I do after Intrepid? There’s still so many fan films and series I haven’t covered yet. Did you know I still haven’t written a history of Prelude to Axanar yet? Yep, hard as that may be to believe, it’s still on my “to do” list. But there’s still some stuff in line before it. I promised MICHAEL L. KING that I’d write a history of Starship Valiant next. Then I need to get with GEORGE KAYAIAN of Starship Antyllus. But before I can cover that fan series, I need to cover his recent re-releases of two fan films he made back in 1992 and 2002. Beyond that, on even longer ranges scans, I want to do a retrospective on New Voyages/Phase II that’s gonna be an epically long project. Then there’s Star Trek: Natures Hunger, a few Trek fan projects out of Germany, and one out of Russia. That last one is a special project I’m currently working on with a friend, trying to provide English subtitles for this 45-minute long NX-era fan film. Unfortunately, my friend works for the U.S. government and is currently assigned to something classified (seriously) and won’t be back home till next month when he’ll be able to jump back into translations. We’re about 20% done so far. I also know that some major stuff is coming down the pike (not the Christopher Pike) pretty soon…just not exactly when. These include long-awaited fan projects like Pacific 201, First Frontier, Starship Farragut‘s finale “Homecoming,” Deception II, and Star Trek: Temporal Anomaly (and of course, Axanar). When those come out, I’ll likely have to drop everything and cover them—features, interviews, whatever I can manage. There’s also supposed to be a second Axanar comic book coming out soon (not sure when), an ambitious new fan project called The Maquis, and a whole bunch of unknown stuff that will likely take me by surprise as much as you! And of course, I still want to write some more biography blogs. I’ve done some fun Trek-related stuff in my life—like writing Quark’s menu at Star Trek: The Experience in Las Vegas, sneaking onto the Voyager and DS9 sets at Paramount in 1997, writing Starship Spotter in 2001, and directing MAJEL BARRETT RODDENBERRY in her home shortly before she passed away. (She actually told me where the name “Andorian” originally came from.) I really want to share some of those stories with you folks. In the midst of all of this, there’s still the day-to-day maintenance on the blog-site itself. At least a few comments from readers get posted each day, and I try to review and respond to them as quickly as I can. And when I write a more controversial blog (e.g. anything with the words “Axanar“, “Discovery“, or “Starbase Studios” in it), those comments can explode into dozens a day! I also try to be sure to post links to my latest blogs on FAN FILM FORUM on Facebook…as well as on other Trek Facebook groups. Then every so often, I add some new section, or I group blogs into a new category to make sure things don’t get too hidden. Most recently, I added a page containing downloadable PDF FILES and also created a compilation of all of my Star Trek: Discovery editorial reviews. And finally, there’s sections of my website that need attention and don’t always get it. For example, did you know there’s a “CROWDFUNDING NOW” section? (Yeah, ya missed that one, didn’t you?) I try to keep that page updated. I also have a very important section with a list of all of the fan films I’ve covered so far. In fact, it’s got three versions: HIGHEST TO LOWEST RATED, ALPHABETICALLY, and NEWEST FIRST. And if you look at that last one, you’ll see I haven’t updated those sections since before Christmas! Yeah, I’ve been slacking. As soon as the world stops spinning and lets me catch my breath, I’ll be updating those pages. So there you go. That’s how your friendly neighborhood fan film blogger makes his sausage (get your mind out of the gutter!). And the good news for you all is that you won’t have to read another of these types of rambles until I hit a thousand blogs…which at this rate shouldn’t be until sometime next month! Congratulations on 500 blog posts! It seems my spouse is always composing blog posts early in the morning when I come downstairs for breakfast – and I get to proofread them before they go live! The main blog that he writes for is a group blog (The American Catholic), but he seems to provide the lion’s share of content there. He tells me writing blog posts keeps the legal writing he does for his day job (as an attorney) from getting too stale. After typing all day for my attorney husband, I like to kick back in the evenings by crocheting baby blankets for charity while watching TV shows or movies. Lately I’ve been binge-watching my way through Star Trek: TOS (via Amazon Prime Video) while doing that, which works out very well, as the TOS episodes are (mostly) so familiar from frequent viewings that I can do other things while watching and still follow the plots fairly well. My 7-year-old son and I have watched all of the TOS episodes together plus the animateds and Trek I through IV. Next stop for us: TNG. Crocheting baby blankets for charity…what I wonderful present to give to a newborn: the gift of warmth. God bless you, Catherine. Well, first, it means that somebody other than me is reading this darn thing! And that appears to be the case. Even on my slowest days, at least a few hundred people are stopping by to visit Fan Film Factor. 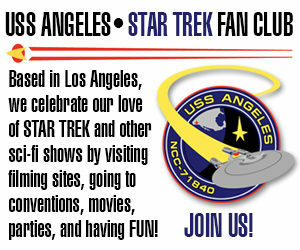 Second, I want to bring some attention and respect to Star Trek fan films. I realize that a few hundred or even a few thousand readers isn’t gonna change the world or anything. But it’s better than zero. There’s now a place on the Internet devoted entirely to Star Trek fan films–not criticizing them or engaging in endless drama, but cheering them on and presenting them in a positive light. And hey, Fan Film Factor was just cited in a Newsweek article recently, so that’s definitely good, right? And third, I like being known as a nice guy. With very few exceptions, the complaints about me aren’t that I’m a schmuck. Sure, the detractors can (and do!) find all sorts of other things to criticize me for, but nastiness isn’t one of them. And I’m proud of that. But most of all, it just feels good to receive supportive comments like yours, Amil. So thank you. Thanks Jonathan! Love this site and appreciate the hard work. I often spend hours getting caught up, if I’ve missed several days. Or just exploring for fun. Perhaps it’s time to add a PayPal donation button, so we can buy you a coffee, or a beer or 2 on occasion. It’s fairly easy to add, and easy for us readers to use. Oh, and feel free to click on lots of ads on the right side of the web pages each time you read my blogs. The advertisers appreciate the attention and pay me a little extra when it happens. Hell no. Your blog rocks. I just can’t handle cheese. But I love it. Jonathan, congratulations, and good job, in being such a middle earther for Trek. You have not gotten caught up on one side or another, even though some people may disagree, I found all your blogs were factual, and usually pretty accurate in predictions. Someday it would be nice to have a web page devoted to a history of fan films with links to them so one can go peruse them. You Tube becomes so unweildy and advert driven it will take you off into a corner with baby rhino videos when you wanted to see fan films. Well, Fan Film Factor isn’t a “page,” but it does have a history of many fan films and links to most of them. Previous Previous post: Today is a good day to PLEDGE…to “The Holy Core” Kickstarter! Next Next post: The complete HISTORY OF STAR TREK CONTINUES…in a single PDF!